For more than a decade, I have made television and video that delights both viewers and advertisers. I create a story with both audiences in mind and develop editorial and brand-focused videos and television segments, appearing on camera and/or working behind the scenes to craft a compelling message. I bring consumer-facing brands to life through content campaigns executed via social media, email, and video, and am expert at engaging consumers with brand messages via storytelling. 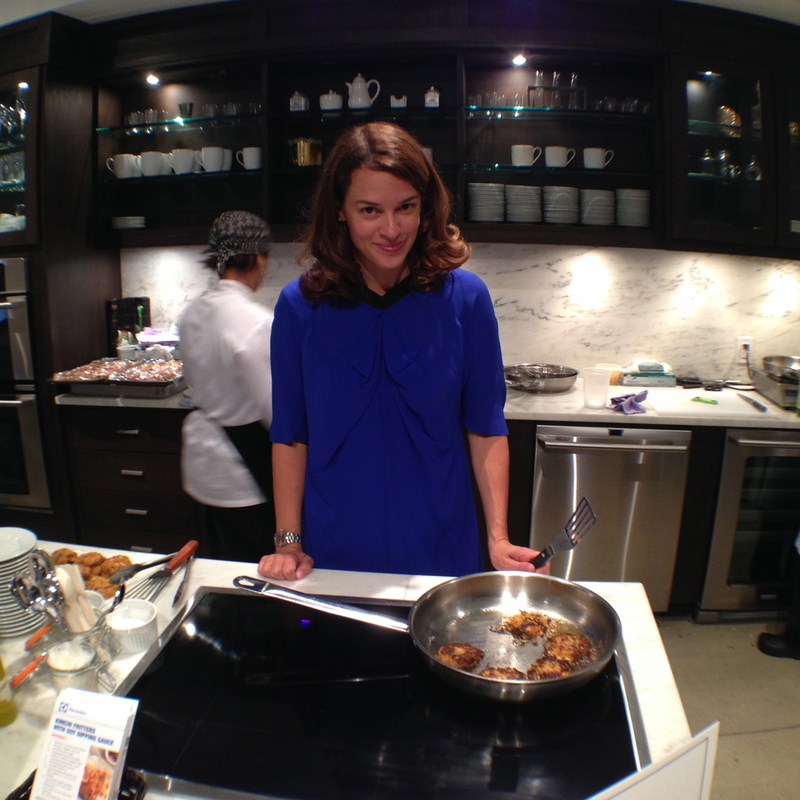 I bring warmth, energy and fun to culinary demonstrations, brand showcases and product launches. I have an uncanny knack for embodying the positive attributes of a brand and serving as its ambassador, getting consumers excited and interested as we interact and they interact with your product. These days each of us has an opportunity to communicate on camera almost every single day. Whether our audience is huge or intimate, we want to look, sound and feel like ourselves--the very best version of ourselves. We each have a million stories. To capture the attention and goodwill of an audience, we need to tell the right story in the clearest, most compelling and engaging way. We want what we say to be understood and appreciated, hopefully even acted upon, and we want to be liked. We want to be authentic. But that takes some practice. As someone who has spent her entire career developing and delivering just the right message for just the right moment, I am uniquely qualified to help you. I want to share my on-camera experience to make yours a positive and productive one. I have suffered through Official Media Training, in which a perfectly lovely person talked at me and had me practice responding to Tough Questions. It was useless because it had nothing to do with what I was trying to do. Training sessions with me are entirely personalized, and I work thoughtfully with each client to help him or her articulate goals, distill the story and understand the nuts and bolts of being a guest on live television or part of a taped segment. We talk to understand your immediate and long-term goals. We work to create your ideal messages for a specific situation, as well as evergreen messages for ongoing use. I help you understand the people, setting, questions and vibe you'll encounter at any media outlet, and we develop different approaches for different audiences. We practice, practice, and practice, and I tape your work so we can review each iteration and build on it. If you need on-camera footage I deliver an edited and chyron-ed clip of your best work. I coach you until we know you are ready for anything! I offer nuanced, detailed guidance, tailor-made for each client's specific personality and needs. I instantly put people at ease so that together we can develop a plan for on-camera success. Sometimes the most confident, well-spoken people have the hardest time getting their heads around talking to the camera effectively. It is a specific and sort of weird skill set, but the familiarity and practice I build lets even a first-time guest make an enormous impact. Please be in touch, and I will quickly tell you how I can help.